EMC’s introductions this week of its Elastic Cloud Storage Appliance (ECS) and of ViPR 2.0, the latest generation of its enterprise storage virtualization software, are two sides of the same coin. ECS is a hardware platform designed to be used like a public cloud but stay on an enterprise’s own premises, with lower total cost than using Amazon or Google, according to EMC. ViPR 2.0 is a major update to software introduced last year and expands the options in ViPR for using—as ECS does—inexpensive disk storage. In fact, ECS is just an implementation of ViPR in a hardware platform designed and sold by EMC. ViPR is designed to let enterprises automate the management of storage systems from EMC and other vendors in virtualized data centers. It lets administrators divide the capacity of all those system into virtual arrays and can automatically provision capacity for each application based on policies. ViPR was announced at last year’s EMC World and became generally available earlier this year. ViPR 2.0 adds block storage capability to the system, which already handled file and object storage and the HDFS (Hadoop Distributed File System) big-data analytics technology. Another added feature is geo-replication, which lets enterprises set up object stores in multiple places around the world under the control of ViPR. The new software also adds native support for Hitachi Data Systems VSP and HUS VM arrays, in addition to native NetApp support that was already provided. ViPR also works with other third-party storage platforms via OpenStack, including ones from Dell, HP, IBM, SolidFire and Oracle that have plug-ins for OpenStack’s Cinder block storage service. With the new version, EMC also began to add support for commodity x86-based storage servers so customers can enjoy the benefits of ViPR on cheaper hardware of their choice. So far the company has certified just one system, the Hewlett-Packard SL4540, which many customers requested, according to Amitabh Srivastava, president of EMC’s Advanced Storage Division. It will keep testing and adding more to the list, with customer demand as a guide, he said. There are limitations in ECS, in that it doesn’t yet include file storage or flash. File storage is coming in the future, and a later version could include flash, Srivastava said. EMC is aiming high with the broad-reaching ViPR and with ECS, which can hold 2.9PB per rack and scale out to multiple racks. With a founding team drawn largely from Microsoft’s Azure cloud business, ViPR was developed with service providers in mind, though it can also serve large enterprises with many different storage systems, said Jeremy Burton, EMC’s president, products and marketing. As with ECS, ViPR may also fit smaller organizations with very large amounts of data, such as in media, he said. The major market for ViPR and ECS will be service providers who want to become the next Amazon Web Services, said IDC analyst Ashish Nadkarni. The biggest threat will come from OpenStack, and the “do-it-yourself culture” around Linux and other open-source tools, Nadkarni said. While OpenStack gives EMC the means to make ViPR work with many more third-party systems, through Cinder, it also gives enterprises and would-be service providers the means to accomplish much of what ViPR promises, he said. This two announcements this week highlight EMC’s increasing focus on software, cloud computing and a whole range of related EMC technologies rather than on hardware to differentiate the company. Another was Project Liberty, a demonstration of the company’s VNX hybrid array implemented as pure software to run in clouds or other locations. 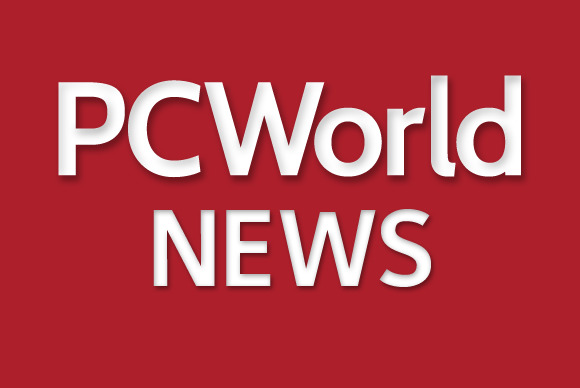 EMC plans to try the same thing with its Isilon OneFS Operating System for network-attached storage, and with its data protection appliances, said Dave Goulden, CEO of EMC Information Infrastructure.